Three layers of flexible seating conform to your every shift and move. Dynamic seating system helps your spine maintain a healthy S-shape. Cradles the spine, while encouraging blood flow. 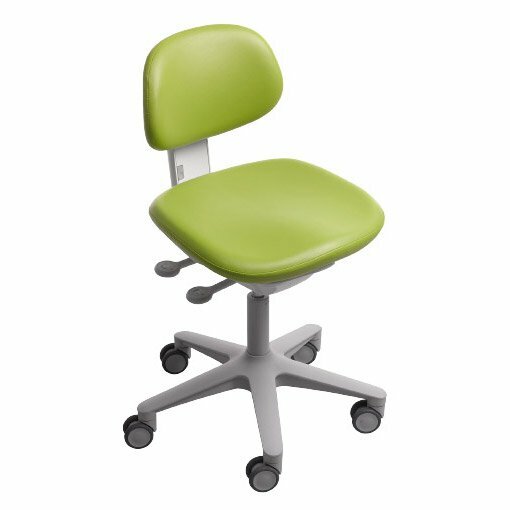 Contoured backrest is standard on the A-dec 521 doctor’s stool and optional on the A-dec 522 assistant’s stool. Minimal seams make clean up easy.